It was announced today (4/17/12) via his family that former Child’s Play singer Brian Jack has passed away. No further details were officially announced. 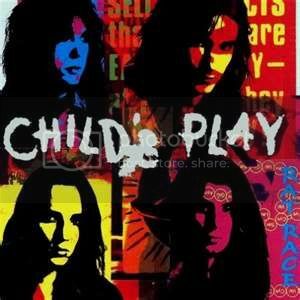 Brian Jack was an integral part of Child’s Play & performed lead vocals/guitar on the bands only major label release. Brian last performed with Child’s Play back in December of 2011 at Ram’s Head Live in Baltimore for a holiday reunion show...this would be Brian’s last onstage performance. John Allen (Charm City Devils singer/former Child's Play drummer) commented: "He was one of the most naturally gifted and charismatic people I have ever met. I will miss him"